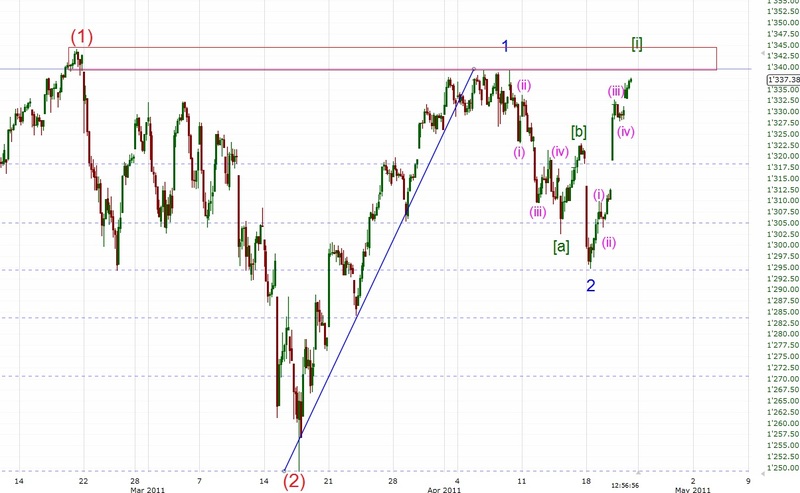 The SPX is up again today and now right at the neckline of the inverse H&S. As mentioned a few times already a break above the 1340ish area should lead to a rally to way above 1400. It looks like wave [i] of 3 will be completed very soon. A mild correction should follow (wave [ii]) before wave [iii] of 3 to 1400+ will unfold. I'll have more on the SPX, the EUR/USD and PMs after the close today.